Our product range includes a wide range of stainless steel 304 flange and slip on blind flanges. 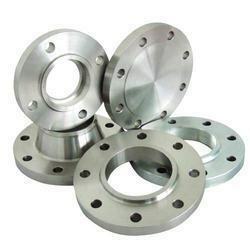 We Keddy Concept introduce ourselves as the prominent manufacturer, trader, exporter and supplier of a comprehensive range of Stainless Steel 304 Flanges. Stainless Steel 304 Flange are robust and their universal specification design ensures that these can be fit properly to any pipe or systems. Being a client-oriented company, we Keddy Concept are engaged in offering a wide range of Slip On Blind Flanges that is manufactured using the best quality of raw material and the ultra modern technology. Our provided product is highly demanded in the market for their sturdy construction, accurate dimensions and durability. A team of quality controllers strictly check its quality before the final delivery. Apart from this, these flanges are used in lower pressure applications and can be easily fitted and welded into different pipes.